“The Big Draw Leiden” are diverse drawing related activities in the city of Leiden for 13-28 September 2014. One of these is “Teken Twee weken” (Draw 2 weeks). For a number of years now, Leiden artist, Christiaan van Tol has run a “daily drawing in today’s newspaper” – a kaleidoscope of current affairs through the drawn. “The Big Draw Leiden” city art gallery, The Lakenhal (the coordinators of the event) asked Christiaan to give a daily assignment for the drawing of the day which anyone could then upload on facebook using an upload + display application hosted by woobox. 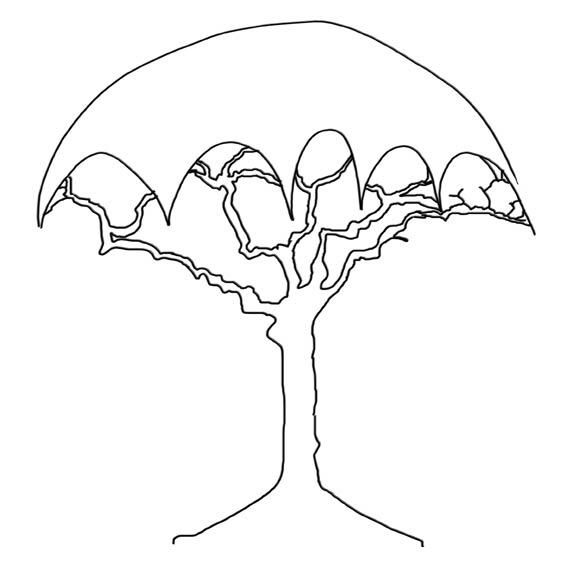 This weekend when I saw the assignment for ‘draw an umbrella’ and… out came what you see above. On the right is one of three drawings I made on shop windows. 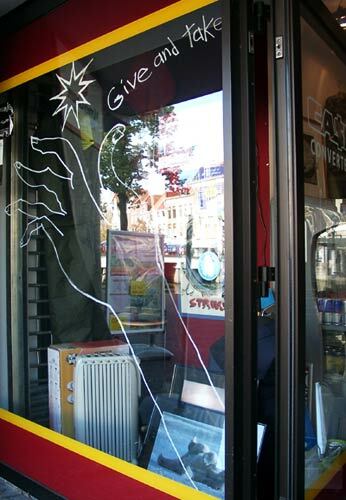 Roughly 20 shops in the city have drawings on the windows. This shop is a pawn shop but the “Give and Take” for me relates to the Bahai community as much as to the literal reference, which is why it is a 9 pointed star that appears above the hand. Another activity I am involved in is the exhibition “Draw Smogasbord” of 16 prints on show above the entrance of the cafe/conference centre, “de tuin van de smid” in the rural park, Cronesteyn, Leiden. This page has details of all the works. If you click on a title you can view the work.